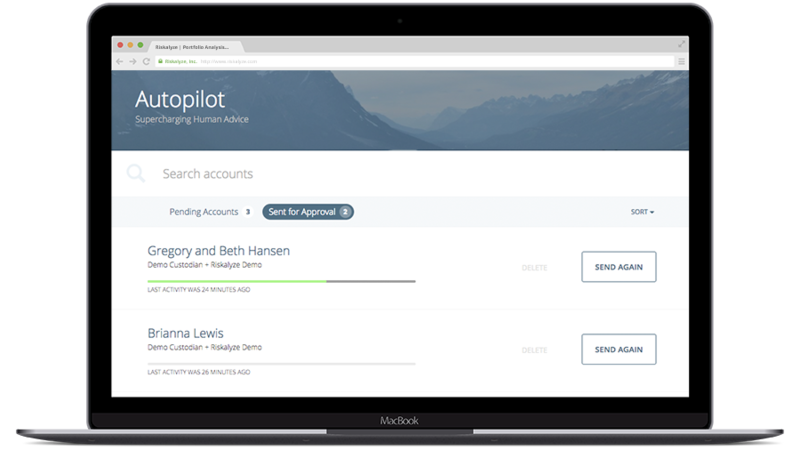 Today we’re rolling out a new tab to make it simpler to track the progress of your new Autopilot accounts. Curious if your clients made it through account opening on their own? View their progress and help them re-engage if they haven't finished. Didn’t finish preparing those forms for your client yesterday? No problem! Now you can pause and resume progress on paperwork. We think this new level of visibility and control will make it even easier for advisors to put the hassles of their business on Autopilot and empower fearless investing. Want to dive deeper into the new Autopilot tab? Not yet an Autopilot user? The industry's best support team would love to connect at support@riskalyze.com.